Geertjan Wielenga invited me to participate in the panel at NetBeans Community Day at JavaOne 2012 and I'm looking forward to that. I'll be participating in the "Community Session: For You -- By You: Growing the NetBeans Community" (UGF10364) discussion that is scheduled for 30 minutes from 2 to 2:30 pm on 30 September 2012 (just before the conclusion/wrap-up session). The main topic of conversation in the "Community Session: For You -- By You: Growing the NetBeans Community" session definitely interests me and can be summed up as a discussion on "the various ways to keep the NetBeans community vibrant and to leave your mark on the [NetBeans] project." 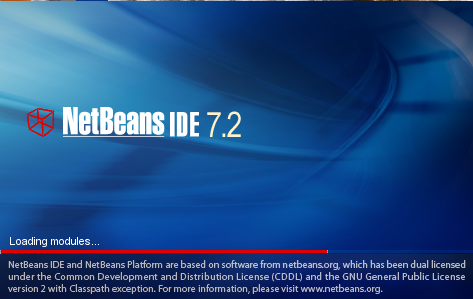 Those who submit patches and create plug-ins for NetBeans are obviously very significant to its success. However, I like that this session recognizes that there are numerous other ways to contribute to open source including "blogging, setting up user groups, organizing seminars or creating YouTube videos, and more." The session description makes a very important observation: "Regardless of programming expertise, there's something for everyone to do." 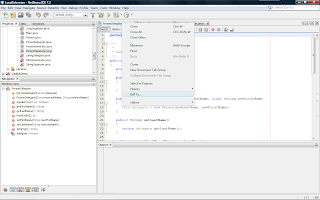 I'll be specifically talking about writing about NetBeans on this blog. There are several sessions focused on NetBeans and the NetBeans community at NetBeans Community Day at JavaOne 2012. These include the NetBeans Community Keynote (UGF10353), NetBeans and Java EE (UGF10361), NetBeans and Java FX (UGF10362), NetBeans Platform (UGF10363), and the "Closing/NetBeans Awards/Community Recognition." The NetBeans Community Day at JavaOne 2012 page also links to a page with sessions of JavaOne 2012 with a NetBeans focus or emphasis. 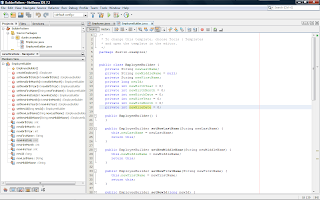 This page, NetBeans at the JavaOne 2012 Conference, lists approximately 30 sessions with a NetBeans emphasis. One of the hallmarks of a strong open source project is its community and I look forward to learning more from fellow members of the NetBeans community. 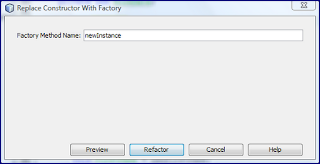 I have already blogged on two refactoring options NetBeans 7.2 provides in my aptly named posts NetBeans 7.2: Refactoring Parameterized Constructor As Builder and NetBeans 7.2: Refactoring Constructor As Static Factory. 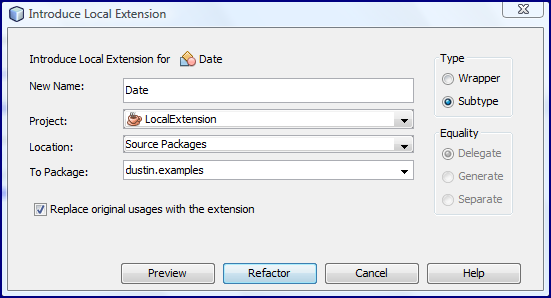 In this post, I look at another refactoring option introduced with NetBeans 7.2 that may be the most time-saving of them all: Introduce Local Extension. Martin Fowler's Refactoring Home Page includes a "catalog of common refactorings", including the Introduce Local Extension refactoring. This particular refactoring is described on that page in this way (presenting the issue and the solution), "[Issue] A server class you are using needs several additional methods, but you can't modify the class. [Solution] Create a new class that contains these extra methods. Make this extension class a subclass or a wrapper of the original." One of the new refactorings available with NetBeans 7.2 is "Introduce Local Extension" and it can be easily accessed by right-clicking on the class that one wants to provide a local extension for, selecting the "Refactor" option to expand that drop-down menu, and selecting "Introduce Local Extension." Alternatively, one can simply highlight the class of interest and use the keyboard: Alt+Shift+X. 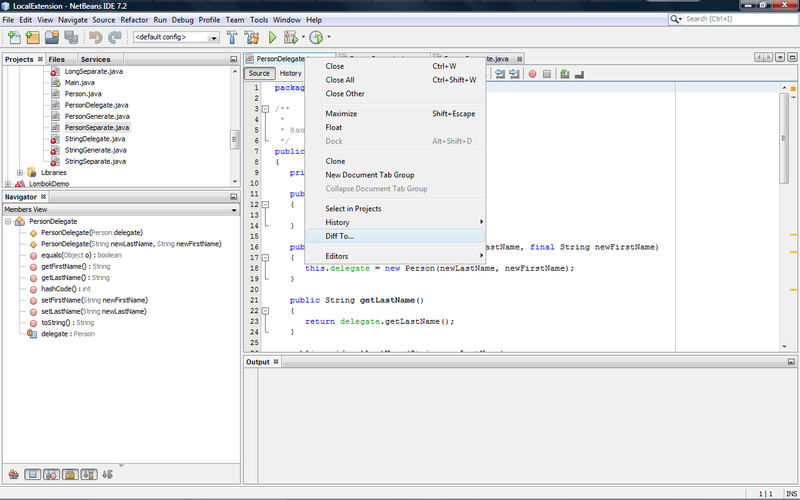 The former (using the drop-down menus in conjunction with right and then left mouse clicks) is depicted in the following screen snapshot after hovering over usage of the Java Date class in the source code (which is listed after the screen snapshot). 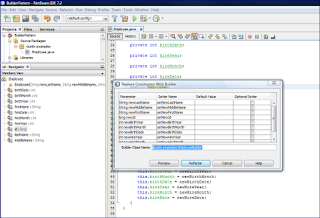 The above screen snapshot shows the result of right-clicking on the Date type used for instance variable date in the following source code listing. When the "Introduce Local Extension" refactoring is selected either by mouse clicking as shown above or through use of Alt+Shift+X, a wizard screen like the following is presented. In this case, because I used Alt+Shift+X while hovering over the Date data type, the wizard is ready to help me generate a local extension of Java's Date. Note that if I had been hovering over most other parts of this class, the wizard would instead start helping me generate a local extension of my Main class (the class loaded in the NetBeans editor window). 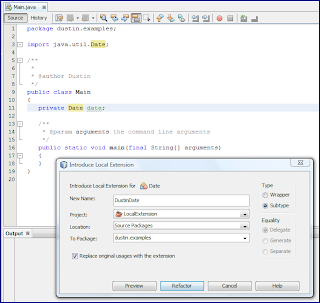 In compliance with earlier cited definition of implementations of the "Introduce Local Extension" refactoring, there are two ways the NetBeans 7.2 wizard allows for this: wrapper (composition) and subtype (implementation inheritance). If the "Wrapper" option is selected (as is the case here), then there are three more "Equality" options to choose from ("Delegate", "Generate", or "Separate"). I'll return to these later. For now, let's assume that "Subtype" is selected. The next screen snapshot shows how the other three options are no longer applicable and are grayed-out. If I click the "Refactor" button at this point, my new class will also be named Date but will be dustin.examples.Date rather than java.util.Date. In this case, to avoid any confusion, I'm going to change the generated class's name to DustinDate. It's also worth noting that there is a checkbox that allows me to indicate whether I want to replace the original class (Date in this case) with the refactored local extension. In other words, I can have the refactoring not only create the subtype local extension, but I can have NetBeans replace my use of Date in the Main source code with my new class. This is shown in the next screen snapshot. 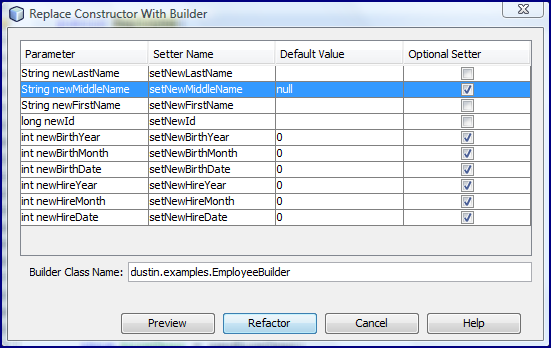 The next screen snapshot shows the results of clicking the "Refactor" button and having DustinDate created as a subtype of java.util.Date. 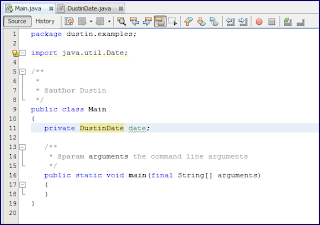 Note that the use of Date in Main has been automatically updated to use the newly generated DustinDate, leaving an unused import of java.util.Date behind. 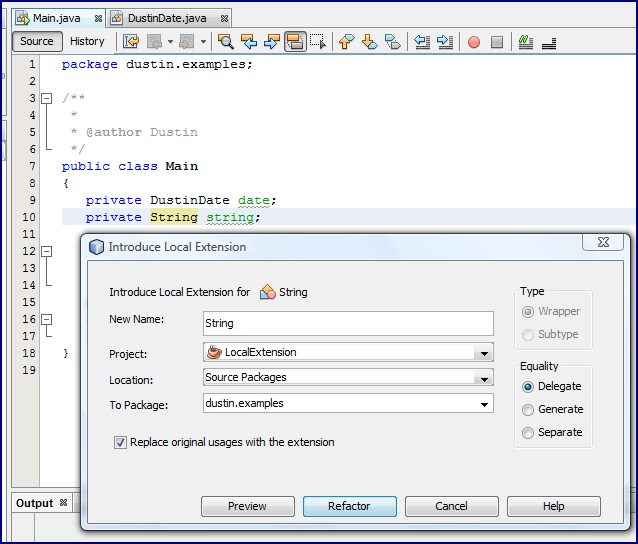 The next code listing is the source code of DustinDate, which was generated solely by NetBeans as a Subtype "Introduce to Local Extension" refactoring of java.util.Date. * @param   date   the milliseconds since January 1, 1970, 00:00:00 GMT. * @param   hrs     the hours between 0-23. * @param   min     the minutes between 0-59. * month, date, hrs, min)</code>. * in the local time zone. * @param   sec     the seconds between 0-59. * month, date, hrs, min, sec)</code>. * @param   s   a string representation of the date. * replaced by <code>DateFormat.parse(String s)</code>. 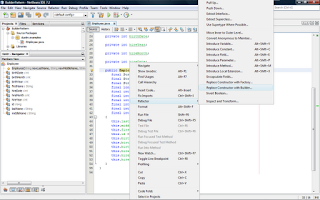 Because the "subtype" approach was employed, only constructors had to be generated by NetBeans to use the class being extended. 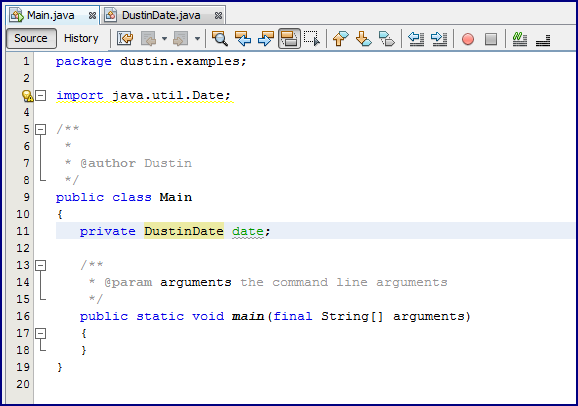 The public or protected "get", "set", and any other methods of Date are automatically available to the extending DustinDate class. There are sometimes limitations and disadvantages of using implementation inheritance (it has even been called evil). One such disadvantage is the inability to extend final classes. To illustrate, I'm move to introducing a local extension of java.lang.String instead of Date. 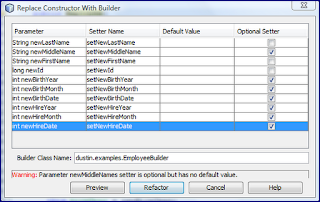 Highlighting the String datatype and selecting the "Introduce Local Extension" refactoring leads to a wizard screen like that which follows. I was pleasantly surprised to see that NetBeans 7.2 does not allow for the "Subtype" option in this case (String is final and cannot be extended). I must use "Wrapper," but can select one of the three "Equality" options for "Wrapper." I'm not going any further with String in this example, but the wizard will generate local extensions as wrappers using any of the three "Equality" options. In all cases, certain methods in the generated class need to be removed or altered for the new code to compile. 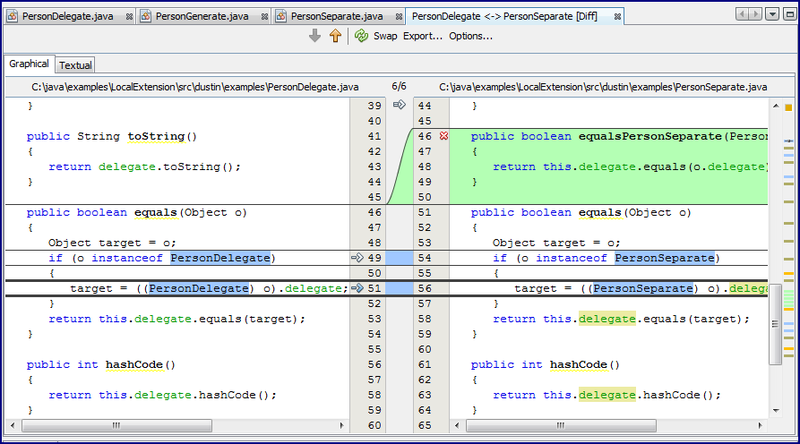 A screen snapshot of using this with String using "Wrapper" and "Delegate" is shown next. To more easily demonstrate NetBeans 7.2 refactoring local extension of wrapper type with the different options set, I had NetBeans generate most of the source code for a simple, all-new class called Person that is shown in the next code listing. When using "Wrapper" type of local extension, there are three possible "Equality" selections. The next three screen snapshots show use of each with a class named appropriately for each. Note that I unchecked the option to change my use of Person to this new class because I wanted to use that original Person class to demonstrate refactoring for "Generate" and "Separate" equality settings in addition to "Delegate." The three "Wrapper" generated classes (PersonDelegate, PersonGenerate, and PersonSeparate are identical except how they override Object.equals(Object) and Object.hashCode(). 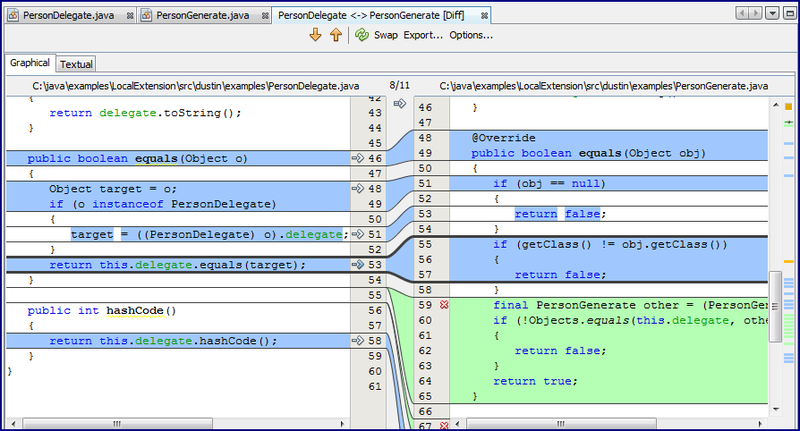 Given this, I first show the code listing for PersonDelegate and then show only the different equals implementations for the three approaches. As stated before the last code listing, only the implementation of "equals" and "hashCode" change depending on the equality setting chosen. To make the differences more obvious, only the equals and hashCode implementations of the three generated classes are shown next. Looking at the different implementations of equals andhashCode helps us to see how they are different. 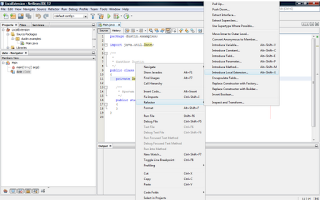 The "Generate" equality approach generates the equals method for this new class using NetBeans's standard generation mechanism. 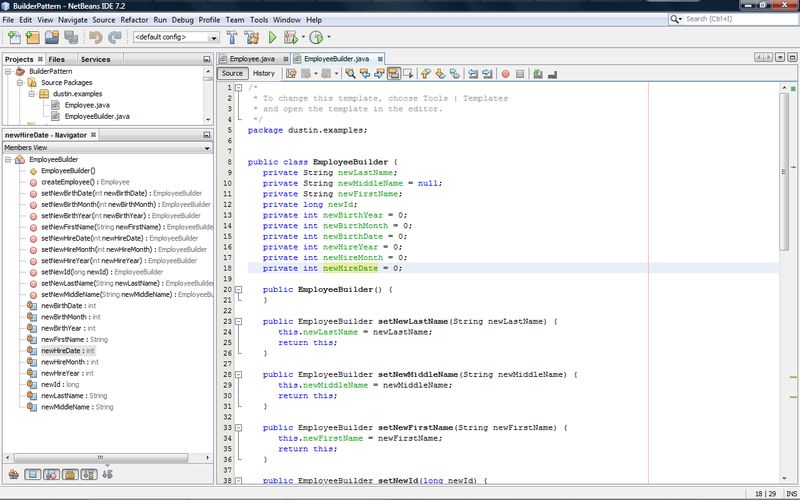 Because I have the source set to JDK 1.7 in my NetBeans project, it takes advantage of the new (to Java 7) Objects class. The "Generate" approach also generates its hash code as if done for an all-new class rather than relying explicitly on the delegate's hash code. The other two "Equality" approaches ("Delegate" and "Separate") for generating a "Wrapper" both simply return the delegate's hash code. The "Equality" setting for "wrapper" local extensions of Equality "Delegate" or "Separate" lead to the same implementations of equals and hashCode. The difference between the two is that "Separate" adds a new method (not part of the Objects contract) called equalsXXXXXXXX where the XXXXXXXX represents the generated class's name [so it is called equalsPersonSeparate(PersonSeparate) in this case]. Note that this new method does not accept an Object like equals, but expects its own type. 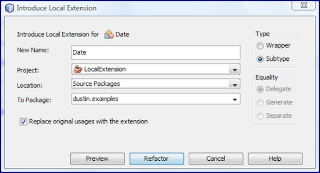 NetBeans 7.2's online help covers all of this in more detail under "Introduce Local Extension Dialog Box." The following is an excerpt from that section. Delegate. Select to delegate to the equals and hashCode methods of the original class. Generate. 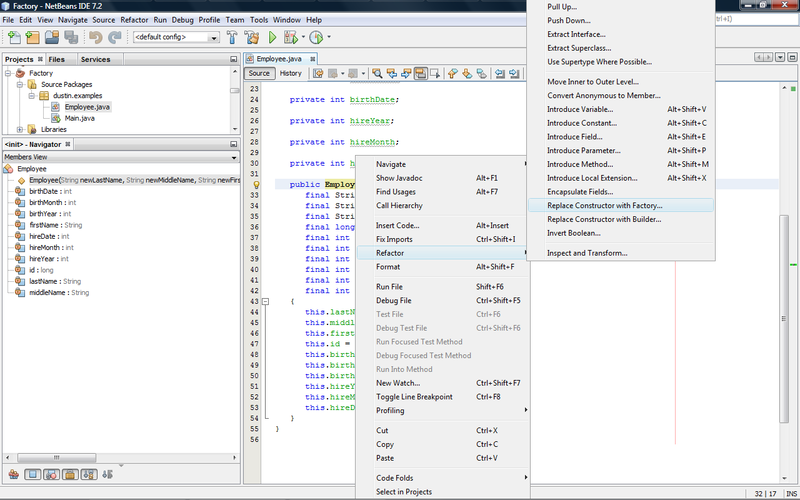 Select to generate new equals and hashCode methods using the IDE code generator. Separate. Select to separate the equals method into two. 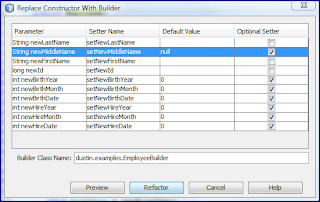 A new method is added to check if the original class equals the extension class. 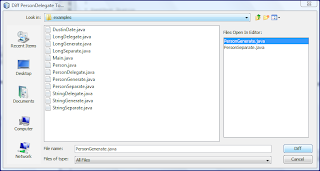 Before ending this post, I want to point out how easy it is to use NetBeans to identify differences between the generated files. 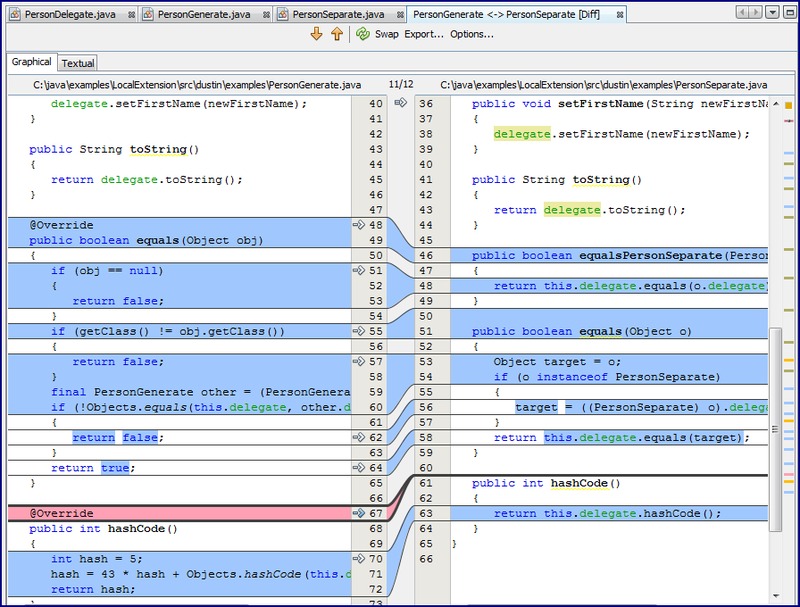 The next screen snapshot shows what it looks like when one right-clicks on the tab in the source code editor for the PersonDelegate.java class/file. This brings up the drop-down menu that includes "Diff To ..." as an option. I'm then presented with the option of the file to diff PersonDelegate to in either the same package (or browser allows arbitrary location to be specified) or opened in the editor window. 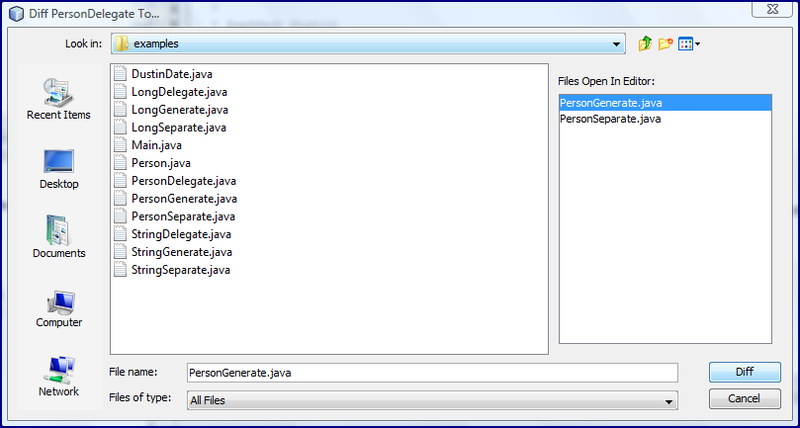 In this case, I have selected PersonGenerate in the right side choices of files already open in the editor. 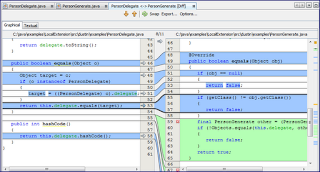 NetBeans displays the differences between PersonDelegate and PersonGenerate as shown in the next screen snapshot. Most of the changes indicated by the colored bars on the far right are changes in class names. However, as the image above shows, the substantial changes are in the equality methods equals and hashCode. 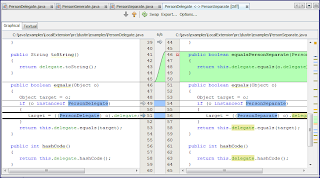 The NetBeans diff shows that the primary difference between "Delegate" and "Separate" Equality in the corresponding generated Wrapper classes is the new method in the "Separate" class. 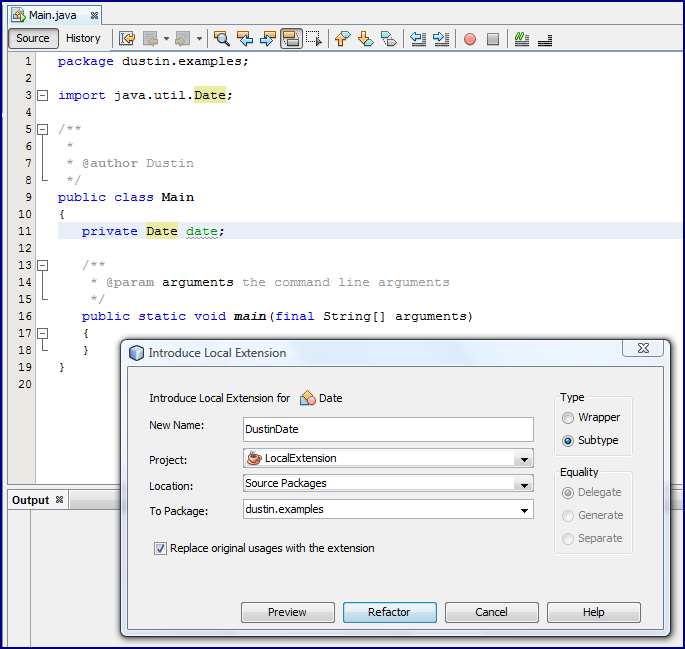 Finally, NetBeans shows that the differences between the "Generate" and "Separate" wrapper implementations. Using NetBeans 7.2's "Wrapper" approach to the "Introduce Local Extension" refactoring provides an easy mechanism for employing the delegation pattern (as commonly understood these days rather than the more historically based use of it described in The Gang of Four is Wrong and You Don't Understand Delegation). 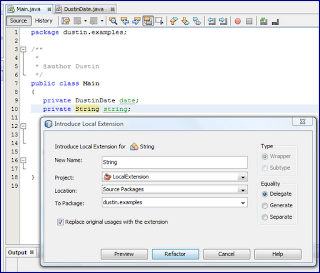 This post has focused on use of NetBeans 7.2's ability to automatically generate code based on the "Introduce Local Extension" refactoring using implementation inheritance ("Subtype") and composition ("Wrapper"). 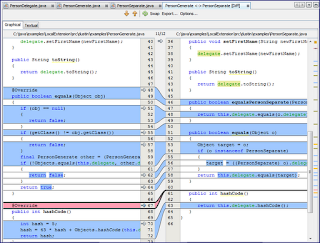 Along the way, the post also examined NetBeans's handy file differencing ("diff") capability. It was recently announced that the JavaOne 2012 Schedule Builder is now available. I have signed up for my first cut at sessions that I will attend, but found myself experiencing the typical feelings of excitement and disappointment as I did so. If I was forced to make a Top Ten list of the sessions I have been most interested in attending at JavaOne 2012, I would estimate that 3 to 4 of those are being offered at exactly the same time and there are a couple others in conflict with one another. On one hand, I find myself excited at the idea of attending certain presentations, but this is tempered at the disappointment realized when I see other presentations at the same time that I'll have to miss. There is undoubtedly an opportunity cost associated with seeing my chosen presentations. One of the session slots that is most difficult for me to make a final decision regarding is the Monday (October 1) 10 am session. In that session, I must choose between "The Road to Lambda" (CON4862), "Concurrency without Pain in Pure Java" (CON3454), "Finding and Solving Java Deadlocks" (HOL6500), "Efficient Memory and Thread Management in Highly Parallel Applications" (CON4611), "Uncovering Hidden Power Tools in the JDK" (CON7059), "JSR 311: Constraint Programming API" (CON3255), "Lessons Learned: Use of Modern JVM Languages Besides Java" (CON2424), "Effective HATEOAS with JAX-RS" (CON3383), "How RESTful is Your REST?" (CON7573), "Make Your Clients Richer: JavaFX and the NetBeans Platform" (TUT4801), "Building Amazing Applications with JavaFX" (CON4606), and several other interesting sounding presentations. I'm currently leaning toward "The Road to Lambda" because I believe lambda expressions will "change everything" in how we think about and write Java and because Brian Goetz is its presenter. Another example of being forced to make a very difficult decision is the 8:30 am slot on Tuesday (October 2). Among other great sessions, I am forced to choose between "Lambda: A Peek Under the Hood" (CON6080), "Introduction to the Play Framework" (CON3845), "Modern Software Development Antipatterns" (CON6152), "Kotlin: Practical Aspects of JVM Language Implementation" (CON5759), "The Evolution of Java Persistence" (CON6622), "New Image Operations in JavaFX" (CON4440), and "3-D Made Easy with JavaFX" (CON4513). A final example that I'll cover here of the difficult decisions to be made comes from the 10 am hour on Wednesday (October 3). Among many great sessions available in that hour, I am having an especially difficult time making my mind up between "Unlocking the Java EE 6 Platform" (CON2987), "Innovating Testing Techniques with Bytecode Instrumentation" (CON3961), "Software Modularity: Paradoxes, Principles, and Architectures" (CON3992), "Design Patterns in Modern JVM Languages" (CON3455), "Developing Polyglot Persistence Applications" (CON4775), "JSR 353: Java API for JSON Processing" (CON3566), "Audio and Video Processing in JavaFX" (CON7146), "Do It Yourself: Custom JavaFX Controls" (CON2425), and "Building HTML5 Mobile Apps with Cloud Services" (CON11114). Fortunately, I don't have this same hour's Are Your Garbage Collection Logs Speaking to You on this difficult choices list because I attended it last year. I focused on three hours of JavaOne 2012 that provide a set of presentations of such great interest that it is difficult to choose only one from the group. Although I used three for examples here, the truth is that just about every hour had at least two of my "must see" presentations and many had more than two in the same hour. Even though I've made initial selections for which presentations I plan to attend, these will change between now and the conference and even during the conference. In fact, they already have changed some since the Content Catalog was released. In particular, my previously high level of interest in Mark Reinhold's "The Modular Java Platform and Project Jigsaw" (CON10844) is lessened significantly since learning that it is likely that we won't see Project Jigsaw until at least 2015 (Java 9). It is difficult to justify using a precious time slot on something that we likely won't see for at least 3 more years. As I was browsing through the JavaOne 2012 presentations and the Oracle OpenWorld 2012 presentations, I noted that no JavaOne session had yet filled up, but several Oracle OpenWorld sessions are already full. I like that Schedule Builder tells you that it's full and tells you how many people are already on the waiting list. In one case, an Oracle OpenWorld session already had a waiting list of 43 people! One of the things I don't like about Schedule Builder is that some of the pre-selected sessions that appeared on "My Schedule" keep reappearing every time I log into Schedule Builder even though I explicitly remove them every time I'm in the tool. I've stopped removing them for now, but would like to have them permanently removed so that it is more clear what I have scheduled each day. I am trying to attend presentations representing a wide variety of topics at JavaOne 2012. I could attend a presentation on JavaFX in just about every session, but I hope to cover a much broader set of topics than just JavaFX. I'm trying to mix in some JavaFX, basic Java SE tooling, alternative JVM languages, and more. The biggest challenge is eliminating so many great sessions and trying to live with attending just one each hour. 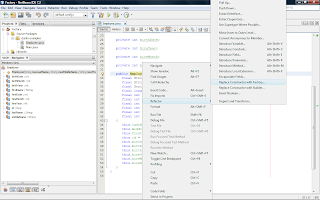 In the post NetBeans 7.2: Refactoring Parameterized Constructor As Builder, I looked at how NetBeans 7.2 supports refactoring a constructor to a builder as described in Item 2 of the Second Edition of Effective Java. In this post, I look at how NetBeans 7.2 similarly supports refactoring constructors to factories as described in Item #1 of Effective Java. I start with an Employee class that is largely the same as the one I used in my previous post on refactoring a constructor to a builder. There are some minor differences, the most significant being that the attributes of the version used here cannot be final as the factory initializer approach does not allow final class attributes because they are not set in the constructor with this approach. Right-clicking on the constructor of this class leads to the choices for refactoring including the highlighted choice to "Replace Constructor with Factory..."
When the "Refactor: Replace Constructor with Factory..." choice is selected, a window like that shown in the next screen snapshot appears. 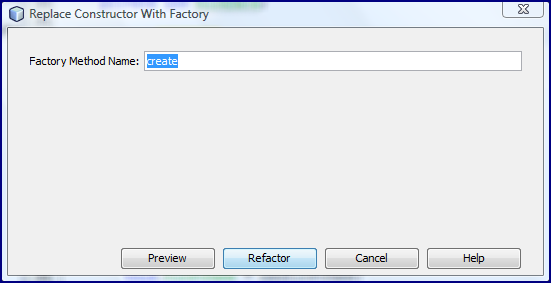 It has the name "create" for the factory method by default. One of the advantages of these static initialization factories over constructors is the ability to name them as we like rather than always needing to use the class name. This can lead to them being more expressive and means potentially less reliance on overloading. 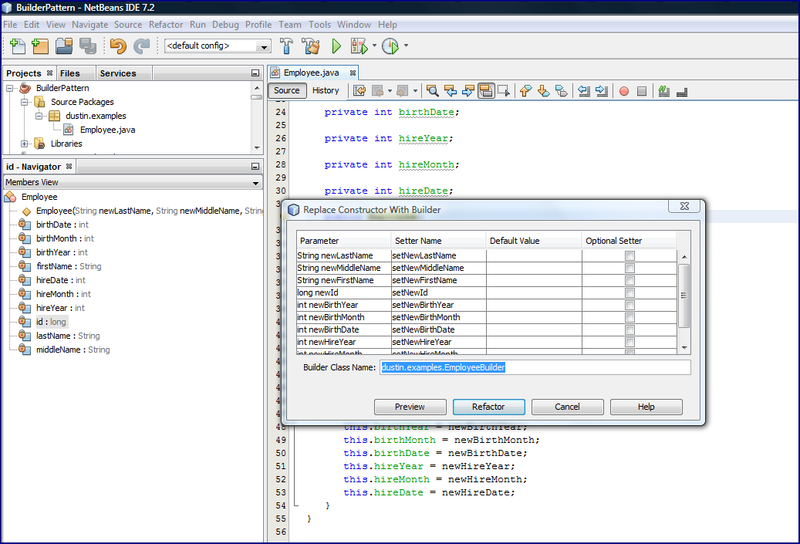 The next screen snapshot shows my change of the name of the method to be generated. 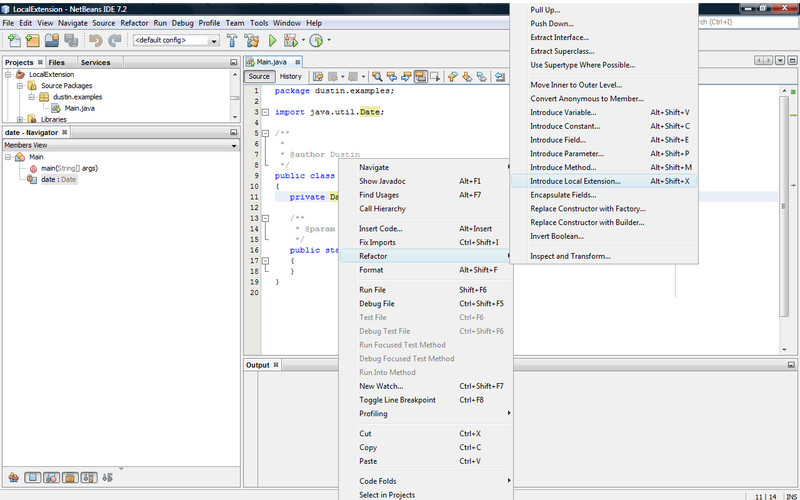 When the above options are chosen, the class's source code is automatically changed to the code shown in the next code listing. 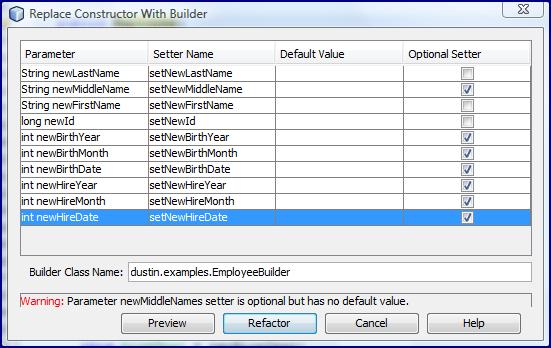 Note that the constructor is changed from public to private and a new newInstance method is generated. There are multiple advantages to using static initialization factory methods rather than constructors. These include the ability to provide different and more meaningful names that do not necessarily require overloading because they can be different. I like to name these methods in such a way that some of their parameters are implied, resulting in the need to provide fewer arguments to that method than would be necessary for a constructor. Other advantages of the static factory approach of acquiring an instance and two disadvantages of this approach are discussed in Item #1 of Effective Java. That item concludes, "Often static factories are preferable, so avoid the reflex to provide public constructors without first considering static factories." 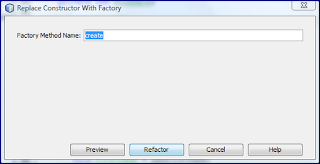 NetBeans 7.2 makes it easy to see how a constructor can be refactored into a static factory and will even do the basic work for the developer. Oracle has released significant announcements regarding Java in recent weeks. I summarize some of these in this post. Henrik Stahl announced in the post Java 6 End of Public Updates extended to February 2013 that "the Oracle JDK 6 End of Public Updates will be extended through February, 2013." As Stahl states in that post, this is additional time beyond the previously announced extension from July 2012 to November 2012. The Oracle Java SE Support Roadmap has been updated to reflect this new extension. The 14 August 2012 Oracle Press Release titled Oracle Releases New Java Updates - Java SE 7 Update 6, JavaFX 2.2 and JavaFX Scene Builder 1.0 announces the release of Java SE 7 Update 6 bundled with JavaFX 2.2. 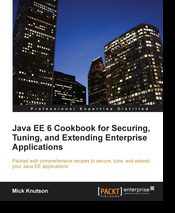 The Java 6 Update 7 Release Notes list the significant new features of this release: JDK and JRE Support for Mac OS X, JDK for Linux on ARM, JavaFX SDK and JavaFX Runtime included in JDK 7u6 and JRE 7u6, Java Access Bridge included in JRE 7u6, Alternative Hash Function, and Changes to Security Warning Dialog Box for Trusted Signed and Self Signed Applications. Tori Wieldt's post JavaOne Schedule Builder Live announces that Schedule Builder is now live and available for registered JavaOne 2012 attendees. Although not technically Java-related, I found it interesting to read that Oracle is throwing in the towel on development of the Fortran-inspired programming language Fortress.